Provide effective treatment of respiratory and cardiac disorders, including using life-support equipment and intervening in emergencies and traumas. They also perform cardiopulmonary testing, evaluate patients, and plan care. Career and advancement opportunities are excellent, especially for those willing to travel or relocate. With faster-than-average growth, this profession has a bright future with job security and room for advancement. Supporting sciences, math, communications, and specialized courses in cardiac and respiratory care. We combine classroom theory and laboratory experience with clinical experience in hospitals and homes. Hospitals employ most respiratory therapists, but other employers include home care providers, medical clinics, nursing homes, ambulance services, and companies renting oxygen equipment. What Credentials Can I Get? With our degree, you'll be eligible to take exams to become a certified respiratory therapist (CRT) or a registered respiratory therapist (RRT). 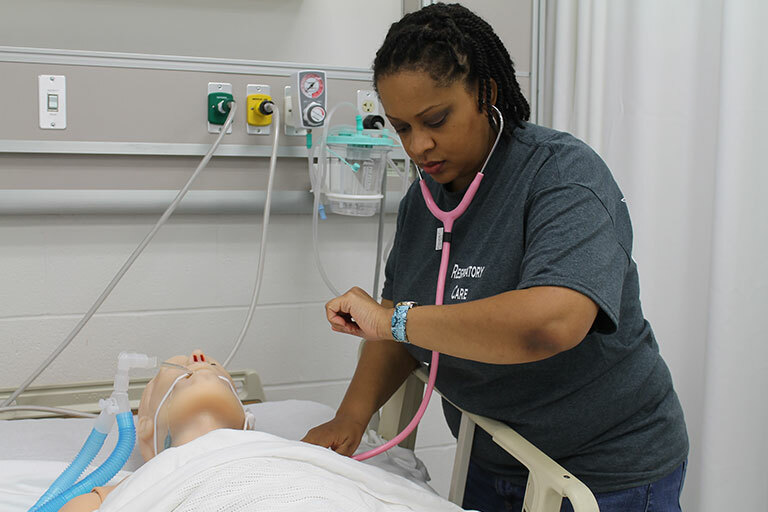 The Associate Degree Respiratory Care Program is available on the Rowan Campus.